Sale May Be Subject To Term & Conditions Of An Offering Plan.Very Well Maintained High-Rise Building In Very Safe Neighborhood. Financially Sound Building. 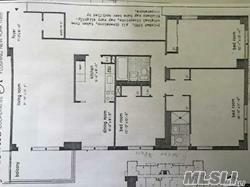 Large 3 Bedrooms, 2 Full Baths. 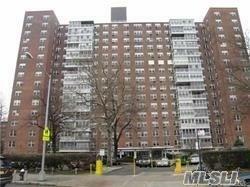 Prime Location Close Subway, Lirr, Schools, & Shopping. Onsite Full Service Laundry & Bicycle Room. Covered & Outdoor Parking.